At a recent holiday mommy get-together, the question of “What do you put in your stocking?” became a big topic of discussion. With a few days until the Christmas morning production, I thought I’d share some of the coolest finds I found for stockings this year for kids of all ages! As one of our annual traditions, our family puts on our pjs, packs up the car with treats and hot chocolate to go look at holiday lights while we listen to holiday music. 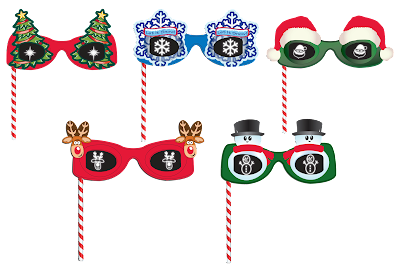 This year I added a new part to our holiday fun – these cool HOLIDAY Specs and they loved them! For under $5 a pair, you can watch as the special holographic lenses create beautiful 3-D images with colorful shapes like angels, reindeer, snowmen, Christmas trees and more. 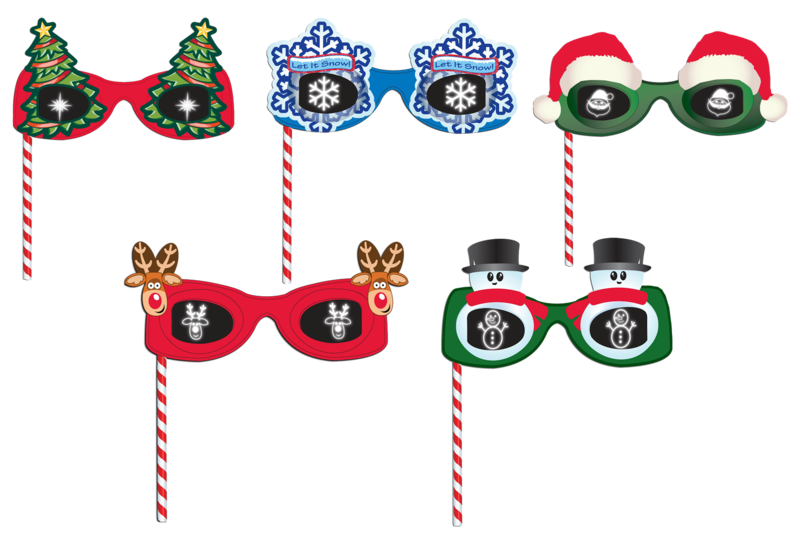 These are perfect for holiday light watching or even just enjoying the lights on your Christmas tree! 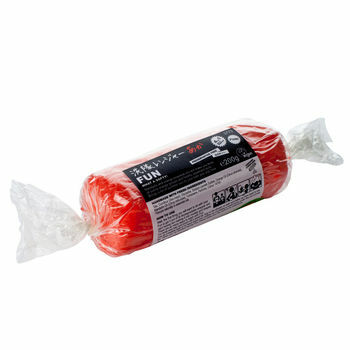 Stockings are full of fun games, candy and toys and this is a great way one that can keep them busy for hours. This unique top-bearing the Guggenheim name is a toy that makes art. 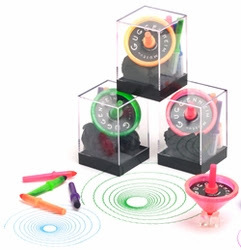 Spin the top on paper to create spirals and patterns. Five replaceable color markers are included, so colors may be easily interchanged so your van Gogh can create a masterpiece with a turn of a top. 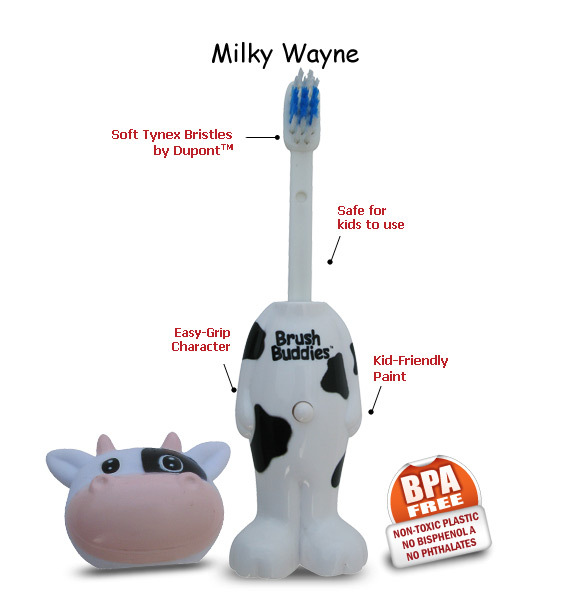 Teeth-brushing time is still a chore in our household, so a fun toothbrush is normally a good way to get him motivated to brush his teeth and often. That’s where the Brushbuddy is going to play a main part in this year’s stocking. Available in five different animal designs (frog, vow, lion, tiger or elephant), with a push of a button, this compact toothbrush head pops up for a little hygiene fun. I still remember some of my favorite makeup products growing up were in my stocking (you know you remember the Bonne Bell lip glosses!) However, now that I’m a little older and have a little girl of my own, I’m a little more conscious of the stuff I’m putting on my skin and one day, on hers. That’s why I loved this cute little 100% natural Eco Princess Makeup set. 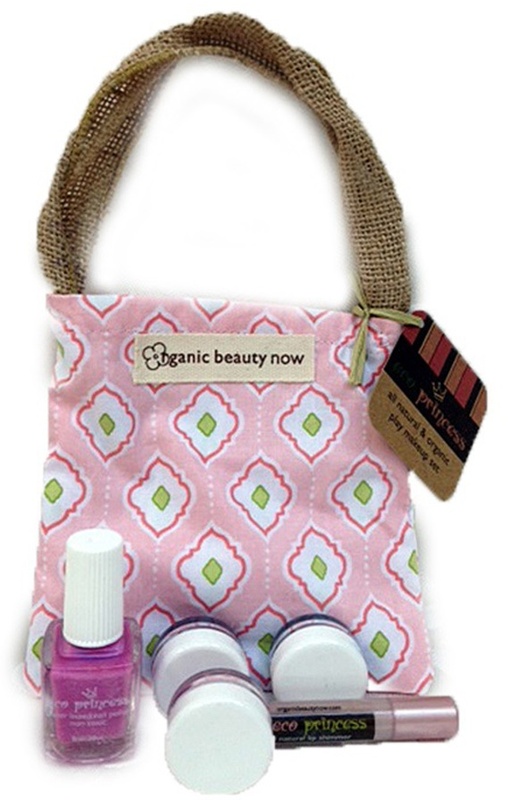 Made by a mom, the sulfate-free, paraben-free, gluten-free and vegan set includes two mineral eye shadows, a mineral blush, shimmer lip balm, and a water-based nailpolish all in a cute little bag. The name of this stuff says it all – FUN. While it was made for adults, it looks like play-doh and serves as a natural, colorful shampoo and body wash. Best of all, you can let them play with it or you can take the leftovers and use it for a little soak in the tub. Looking for more holiday gift ideas, then check out my HOLIDAY GIFT GUIDE for everyone on your list!